The Dell Leveraged Buyout, Part 2: Declining Growth and Margins, or “Robust Earnings Growth”? 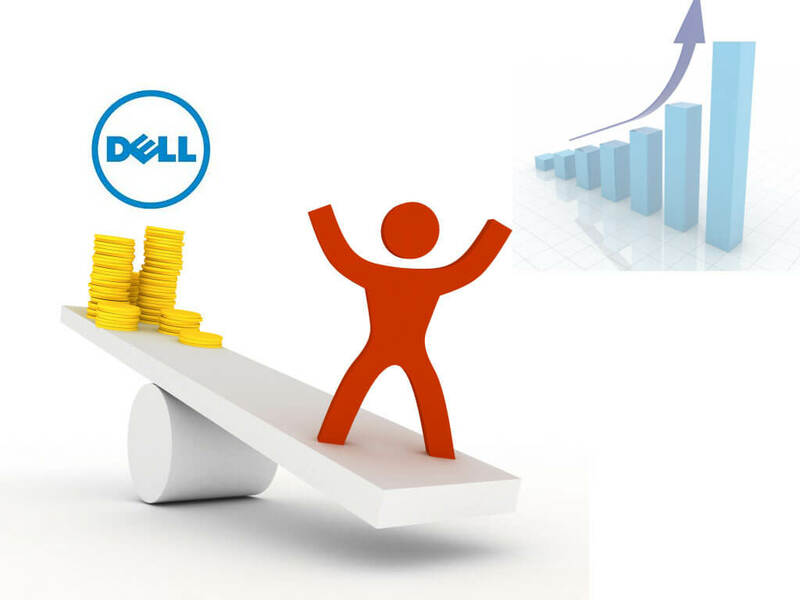 At long last, we pick up today with Part 2 of this case study on the Dell leveraged buyout announced in February. The timing is good because a bunch of factors have changed since the last time we looked at this deal, and it’s unclear who will “win” or if anyone will actually end up acquiring the company. The more confusing the scenario, the better it is for a case study, right? If you have not already read and watched Part 1, go do that now or you’re going to be very confused by everything that follows. In Part 1 of this case study, I went through the key documents and sources of data we’re going to use, including equity research, industry research, the company’s historical filings, earnings call transcripts, and more. You also learned how to set up the basic assumptions and some of the “quirks” specific to this deal, like the unconventional Sources & Uses setup and transaction assumptions (due to the offshore cash set to be repatriated and Michael Dell’s rollover). This time around, we’re going to build on all of that and move into the revenue and expense assumptions. But we’re taking a more complex and nuanced approach here by looking at alternate scenarios and using channel checks to come up with numbers that differ from the consensus. The Tables Have Turned, Trebek! Since the last time I wrote about this deal, various other bidders have emerged from the forest and set their sights on the company. Blackstone and Carl Icahn are the most serious ones, and as I write this they have both submitted alternative bids, at (theoretically) higher prices. I write “theoretically” because both proposals are fundamentally different in that they may leave a portion of Dell’s common shares outstanding and publicly traded, in an attempt to allow large existing shareholders to participate in the potential upside. In that sense, neither offer is truly comparable to the original Silver Lake offer – because in that one, Silver Lake would acquire all shares (except for Michael Dell’s rollover) and the company would go private. If you have some extra time and want to learn those bids in detail, go and take a look. In this case study, we’re going to stay focused on the original offer because that’s the task at hand. And in real life, of course, you don’t have time to go off on these side quests and then fail to level up for your boss battle. Before attempting to make assumptions for revenue, you need to ask yourself a simple question first: which segments should you use? In other words, should you use a product-level split (e.g. servers vs. software vs. services vs. desktops vs. laptops), or a “business segment”-level split (e.g. large enterprise vs. public vs. SMB vs. consumer)? It’s a tough call here because Dell discloses its operating income for the business segments, but does not do so for the product segments (though some research analysts have estimates for that). But remember: we are more concerned with revenue than with expenses and operating income… and there is much better data for the product segments, so we’re taking that approach. Also, that split more accurately reflects the nature of Dell’s business: growth in servers/networking, software, and services vs. declines in desktops and laptops… and those trends apply across different customer segments. Next, we need to figure out if we’re projecting revenue based on market size and Dell’s market share in each segment, or if we’re going to use a bottoms-up approach and use units sold and pricing as the key factors. With simpler businesses that have fewer segments, units sold * average selling price is often a better approach that’s more grounded in reality. But the problem here is that Dell is massive and offers so many different products at so many different prices that it’s hard to come up with even rough estimates for those. Certainly, it doesn’t disclose that information in its filings. Meanwhile, we do have plenty of data on market share and potential growth in the underlying markets across at least 3 of Dell’s key segments. So we will tackle the revenue side by focusing on the market size of each segment and Dell’s market share in each one. Where to Find the Numbers? This is where the fun begins. You can see that we’ve used a combination of outside industry research, equity research with market data, and historical numbers disclosed by Dell for much of this on a historical basis. For the projected periods, we can still continue to use some of those sources… but there’s a small problem here, which is that we need to come up with views that are different from consensus estimates. It’s easy to sit there in a spreadsheet and make up numbers for revenue growth percentages, but you have no real insight into what it will really look like unless you go and speak with real people in the market. And that’s what I’ve done for you here: please read this document. This is representative of what you might find if you actually did this, and it’s also very close to what you might see if a fund you’re interviewing with gave you this information in the context of a case study. Based on these findings, consensus estimates, the company’s internal presentations, and the historical numbers, we can arrive at our own view of the company’s growth prospects going forward. Low to flat growth for desktops and laptops – maybe a low percentage in the first few years, and then declining to 0% or negative growth. The servers / networking market size may increase at a higher-than-expected rate, due to comments from some of your sources and their plans to increase spending on these products. Those are the only segments where we’re factoring in market size – software, services, and storage are all based on other metrics or are simple percentage growth rates instead. Servers / Networking: We’re more optimistic than the consensus because of Dell’s bundled offerings and growth in the past few years, plus because of how businesses are becoming increasingly data-driven… at the same time, though, we don’t quite buy into the 20% market share estimate because this is only a comment from 1 person. Desktops and Laptops: If you look at research, many expect Dell’s share to fall by a good amount. The more likely scenario, from these comments, is that Dell’s market share will stay roughly the same, perhaps declining a bit, but the overall market itself may decline due to pricing pressures and the shift to smartphones / tablets. Services: Expanding here is one of Dell’s top priorities, and the fact that their strategy with up-selling and cross-selling warranties and value-added services has been successful + solid uptake in foreign markets lead us to believe that growth here will be solid, perhaps even slightly higher than what most are predicting. Software/Peripherals: The main issue here is awareness. Yes, Dell has acquired lots of software companies but it seems like overall awareness of its solutions remains fairly low and there isn’t a great differentiating factor. So modest growth seems plausible, but it’s unlikely that these acquisitions and the software from them would result in a dramatic increase in growth unless Dell ramped up marketing and outreach efforts. Storage: We ran out of time for channel checks here, so this one will be a simple percentage estimate. Tablets: While Dell itself is aiming to get to over $1 billion in tablet revenue according to its investor presentation, we remain skeptical because of the dominance of Apple, Samsung, and Google in this market and the fact that its plans are not even clear at this stage. As a result, we’re not going to factor this in at all. There are also some comments on expenses in this document, but we’re going to save those for the section on expense scenarios below. Base Case – This should line up with what you’re actually thinking based on the research and channel checks above. Downside Case – This will take a more pessimistic view that comes close to what analysts with a more negative perspective think, or that corresponds to some of the more negative comments you’ve received. Upside Case – This might be more in-line with management’s estimates from investor days and other presentations, but it shouldn’t be an exact match because their numbers are almost always wildly optimistic. So our numbers might be somewhere between the Base Case and management’s estimates. Historically, Dell’s internal estimates have been very far off so it’s not a great idea to rely on them. Street Consensus – As the name suggests, this should match up with the consensus revenue numbers, per the instructions. We don’t necessarily need to average every single analyst’s numbers – in this case, we’re paying more attention to the Morgan Stanley report with 5-year revenue projections. All of this is fairly boring to show you in video form. It consists of entering numbers, looking at other sources, going back and tweaking those numbers, and repeating that until you get a reasonable result. It would be as exciting as watching paint dry, so I’ve skipped over a lot of the trial and error in the video and in this description – but that is how you would attempt to make your numbers line up. There’s very little to no data here, and the channel check comments we’ve gotten are not very insightful. But the basic point here is simple: if more of Dell’s business shifts to software/services, margins will increase, and if it takes more time to make that shift, margins will stay the same or possibly even go down due to price pressures. You need to be really careful with these assumptions because even a 0.5% or 1.0% margin is a massive amount of money for a $50B+ revenue company like Dell. Where is that coming from? Are they paying employees less? Reducing the workforce? Paying less for leases? Unless you have granular data for those variables, it’s better to keep this within a small range and vary margins by relatively small percentages each year. Once you’re done with the revenue and expense scenarios / assumptions, most of the rest of this model is straightforward. SG&A and R&D are combined into a single OpEx line item so that scenarios are easier to support. There are some additional items (e.g. financing receivables) in the operating assumptions schedule at the top because I realized they would be necessary once I started looking at the 3-statement projections. The items here mostly follow what you’d expect (AR is linked to Revenue, AP is linked to COGS, Accrued Expenses to OpEx, etc. ), and when all else fails, just make it a percentage of revenue (yes, that sounds silly but it is accurate for many operationally-linked items). I am mostly using 4-year historical averages for these percentages, except for a few cases where there’s a trend in one direction. For example, it seems likely that deferred revenue will increase to higher levels in future years as Dell shifts to a software/services model, so I’ve assumed that DR as a % of revenue increases in future years. Most of these links are straightforward, with a few “hacks” here and there because I felt like making this more confusing and/or interesting, depending on your point of view. For one good example of such a hack, see the “contra-asset” that I’ve mysteriously added to Current Assets (you’ll see why this is necessary if you look at how the BS and CFS are linked). Be careful of alignment and linking in the right items. The big “Transaction Adjustments” section in the middle can make it easy to make mistakes when copying formulas, but we need it to support the adjustments we’ll make later on. The debt schedules are mostly blank for now (except for interest, which is set to use beginning balances to avoid circular references). That is intentional – we’ll get to all of this in Part 4. I am also assuming numbers for a bunch of items like buying/selling investments, stock repurchases, dividends, etc. that won’t exist in the post-buyout period… those are there mostly just to verify that the model links correctly. If you leave all of those line items blank, it’s easy to make a mistake where one or more links isn’t working and you never know because everything is set to $0. The Cardinal Rule About Linking the Statements: Each item on the Balance Sheet must be linked to 1 item on the Cash Flow Statement, and vice versa. If something is not linked at all, you’ve got a problem, and if something is linked more than once, you’ve also got a problem. Those two mistakes account for 99% of the problems I’ve seen with Balance Sheets not balancing. Download the model and files and practice it yourself, or at least tweak the version I have and see what happens. Then, think for yourself and do your own channel checks and research: do you agree with these findings and my examples above? Is your view of revenue growth and expenses / margins different in some way? Have you found something that I’ve missed or haven’t considered? My goal here is to get you to think for yourself and to give you the tools necessary to do that. So I encourage you to disagree with these numbers and present your own view based on what you’ve found. Finally, subscribe to our YouTube channel so you can see this and additional future bonus videos / tutorials we’re releasing. (Yes, there will be more videos soon – right now I am busy finishing a new course, so I haven’t had time to record more videos outside of that recently). Coming up in Part 3, we’ll delve into how you model the acquisitions and factor in revenue and expenses from them, and then we’ll go into the debt schedules in Part 4 and finally the investment thesis and presentation in Part 5 (NOTE: This order has been changed around – see below). first of all, thanks for the great case study! Regarding your channel checks, how can you just call up people in the market (suppliers, competitors, etc.) and talk about your target company? I mean, it’s kind of a private information that the targetCo’s owner is looking for buyers. You would be surprised at how much people willingly tell you if you ask them – you wouldn’t even necessarily say that you’re investing in or buying the company, just say you’re learning more about the market and want to understand the different companies there and ask for their own thoughts on Dell and each of its competitors. This might be more of a legal question than finance. As in the Dell LBO, it will be merged into Denali Holdings (aka merger sub, which I assumed was formed by Salt Lake), with Dell being the surviving entity at last. In a typical merger or LBO, is it the norm to form a Merger Sub by the acquirer first then have the target merged into the entity, rather than a straightforward merger with the acquirer itself? What’s the significance of it? Good question… it is typical in an LBO to form a shell company first and then have that shell company acquire the real company and be merged into one entity afterward. That is because the PE fund does not want to directly own the company – it tries to remain somewhat separate to more easily raise funds from the debt investors (they can segregate liabilities more easily like that) and even sometimes outside equity investors if it’s a club deal. This is less common in mergers (i.e. a normal company buys another normal company) because the buyer usually holds onto the seller for a much longer time period. Sorry to bother you, but I would like to get an opinion on a recent interview experience I have with an US IB firm in London. 1 little discussion for motivation and background for making the move and why IBD now etc. the only technical question got was in the lines of “walks me thru an LBO” which I was prepared for by following your course video religiously. 2 was grilled on my view about the market – i mentioned a firm which the MD viewed very negatively, but was able to change his opinion with data driven justification at the emd of the disccussion – I think both the MD and the VP were quite impressed by that actually. 3 the gave no indication as wether there will be future rounds ( they said this will depends on who they meet later on, the MD said its still early stages now …) as this is not a traditional 3 stage interview – and that was the first round meeting. They said they will definitely be in touch and both the MD and VP gave me their business card at the end – I did no even ask…. Really would appreciate some opinions on this. 1. I’m glad you found our course to be useful to you! 2. This is a good sign, especially if you can express your opinions with examples and deep insights. 3. They’re interviewing other candidates and are not desperately in need of hiring people. I would follow up with the MD and VP and write a thank you note. I acutally followed up with a thank you email on the same day and the MD replied straight away thanking me back and saying will be in touch. I sent another email yesterday (exactly a week after the interview) asking how should I proceed from here and what should I expect etc… but have not heard anything back so far. I was thinking if I dont hear back say mid next week, perhaps I should call the MD and VP? What should be my best srtategy here? Yeah I would just follow-up by the middle of next week if you haven’t heard back by then. Most likely he is just busy or hasn’t had time to think about next steps, this is common if you’re interviewing for lateral roles. Apologies for being off topic, was just was wondering what your thoughts are on the following job opportunity. I left my MM bank after two years as an analyst. I am interviewing for a junior role in the corporate finance team of a mid sized utility (c. £1.2bn TEV). The role would initially involve working in the finance team building a detailed bottom up operational model of the business, which would be used to drive business planning and regulatory analysis. In addition, the business was recently acquired by a consortium of infrastructure funds, and I would use the model to produce IRR and dividend yield metrics for the owners. I would also work with the equity owners on a regular basis, and would be reporting to the Financial Controller. Does this role, based on the information I have provided, sound like a decent role for someone with two years of M&A experience? I like the fact that it would offer a much better lifestyle than banking / PE, and I would develop a lot of industry expertise, and hopefully have regular contact with senior guys at the firm. However, I would be worried about the career progression opportunities, pay, and exit options, after a few years, of working for a relatively small privately owned company, in such a niche area. In addition it is initially a pretty modelling heavy role, am not sure if this is a good or bad thing. Do you have any thoughts on this opportunity? Any thoughts / advice would be appreciated. I think it sounds decent, but it would probably limit you to infrastructure / utilities-type roles in the future. So if you like that sector, sure, but otherwise it may not be a wise bet to take the role. You could probably move into infrastructure investment funds or project finance from there, but traditional PE would be more difficult. Would the fact that it is more of a corporate finance role, rather than a corporate development (internal M&A) / strategy position, restrict my exit options? Especially for things like an MBA further down the line? Would I be better off in say a corporate development group for my career development? I don’t know if it would make a huge difference. Corporate development might be a bit better if you want to go back into IB/PE, but any “corporate”-type roles tend to be grouped together by most people. So it really depends on what you want to do in the future after assuming this role. I kind of need your advice. I am having an interview next week in an investment management firm. The position is analyst-operation, I just wonder what exactly what an analyst in operation do in an investment management firm? The same as an analyst in operations anywhere else, some work with the front office staff to facilitate trades and investments and work to reconcile everything. I will be freshman at columbia u school of engineering in NY. Is it worth it to stay In the engineering school if I am interested in investment banking. It would be way more work than being just an Econ major. It seems like columbia engineers do fine placing in ibanks but I am unsure if the extra work has any pay off. Transfering is complicated but possible. Also does your major or engineering discipline in college even matter when applying for I banks. Is Columbia University even considered an official target school for major investment banks at the undergrad level? Would I be better off saving the money and attending a state school(Rutgers) to get a higher gpa and try to break in to ibanks from there. My other option is Princeton U or Caltech but they gave me less financial aid than Columbia. Yes, it is a target school. Rutgers is not a better option. Hi, I’m in the 2nd year of a 4 year engineering degree at a complete non-target in the UK. I can choose to graduate after the 3rd year and do the final Masters part at Cambridge, Imperial or UCL. Switching universities will cost me a lot more money than if I stay. Finance masters are out of the question because they all cost tonnes more. Is spending £20+ k on a shot at full time recruiting from a target worth it, considering that I’ll most likely have no finance experience? I’ll be applying for internships in the 3rd year of my non-target, and I’m sure I’ll need to be very lucky to get interviews. If you have good grades and high A-levels and are 100% confident that you can devote the time needed to do well in online tests / assessment centers, yes, I would say it’s worth it because going to a better-known school really does make a big difference. But only if you can properly leverage it. Absolutely amazing! First, the great news about the new features for several courses yesterday. Now this really interesting case-study about Dell. Seriously Brian, you take over-delivering to a whole new level. Will the new Excel course be a free update for people who have already signed up for the old one? It sounds almost too good to be true. Thanks! Yes, it’s a free update. Coming on or before April 26th.